But this has nothing to do with paper and LED screens, it's the human connection that I so much enjoyed while reading Amusing Grace. Of course, I expected humour especially with the word amusing. Like the book Love Yourself which I reviewed and posted a few days back Amusing Grace made me realize a lot things to be thankful for and made me totally confused while I laughed at one chapter and cried the next. Oh my gosh! My favorite chapter was written in an accent, and you are like: "Written like what?" seriously, it was written in a different accent entitled Chapter 8: Hausvork for Zee Hausvife - now try reading that aloud. Seeeeeee? Told you so, now think of the whole chapter written like this, I swear that I laughed throughout and so did my husband. Chapter 28 Gray Matter Matters is where the author recounts where she was told for the first time that she was diagnosed with Multiple Sclerosis. Yes, Rosanne has been suffering from the disease for 28 years now. This is the chapter where I teared up and reminded me much of my son and sister when we learned that they had cancer. In this fast paced life that we lead, we often forget to realize that in some ways we are lucky to have what we possess. I am lucky that I am able to see clearly, I am lucky that I can still work without much difficulty (that's if my TMJ hasn't acted up) and I am lucky that I can see as well as move around freely. What amazes me most, is the capacity of Rosanne to be able to share her stories without the feeling that she is preaching and still have the ability to crack a joke amidst her condition. I am in no wonder why this is a second helping of Amusing Grace. She has managed to handle her case with such poise and through her book, prove that everything is possible through the faith of God. So why am I suggesting you buy this book? If you are trying to look at the lighter side of life, not looking the other way but accepting everything that God has provided you then you should. We tend to concentrate on the things that we do not have, I myself am guilty of such by always saying to myself that "I wish I had a car so I could take the kids out more often" but then I should be more more grateful that I have hands and legs to walk with them while holding their hand. We all need that realization and gratitude. I would love to hear what you are grateful for, please let me know below. 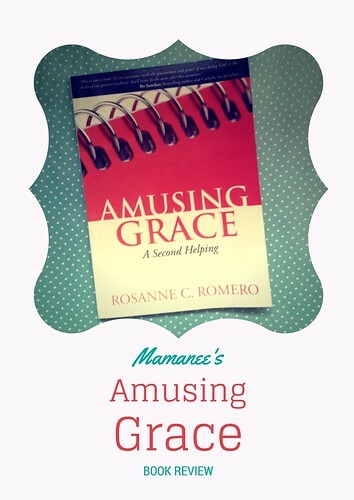 Because I love you lasses heaps, I am sharing with you this copy of Amusing Grace, just visit this Facebook post and leave a comment as to why you want to own this book. I'll be shipping (Within The Philippines) this to the chosen winner! Author Rosanne Castillo Romero is a member of the Ang Ligaya ng Panginoon Community and is also a resource speaker for forum discussions on personal effectiveness, self-esteem, family life, career and personal ministry effectiveness which she has done to audiences in the Philippines, Singapore and Indonesia. Afflicted with Multiple Sclerosis, a degenerative and disabling disease of the brain and central nervous system since 1986, she has used this as a platform to help individuals make sense of their personal adversities. OMG, just what I need these days, I've been feeling super low. thanks for this. It is true that we have so many to be thankful for, it just sometimes we are too engaged in superficial things to even notice those that matters. Yes! It's so hard to recognize the good small things at times. I agree Marie, sometimes we tend to focus on the unfavorable things that's happening to us and didn't notice that there are still a lot of things to be thankful for. Absolutely, when we are stressed we often focus on the bad rather than the good. 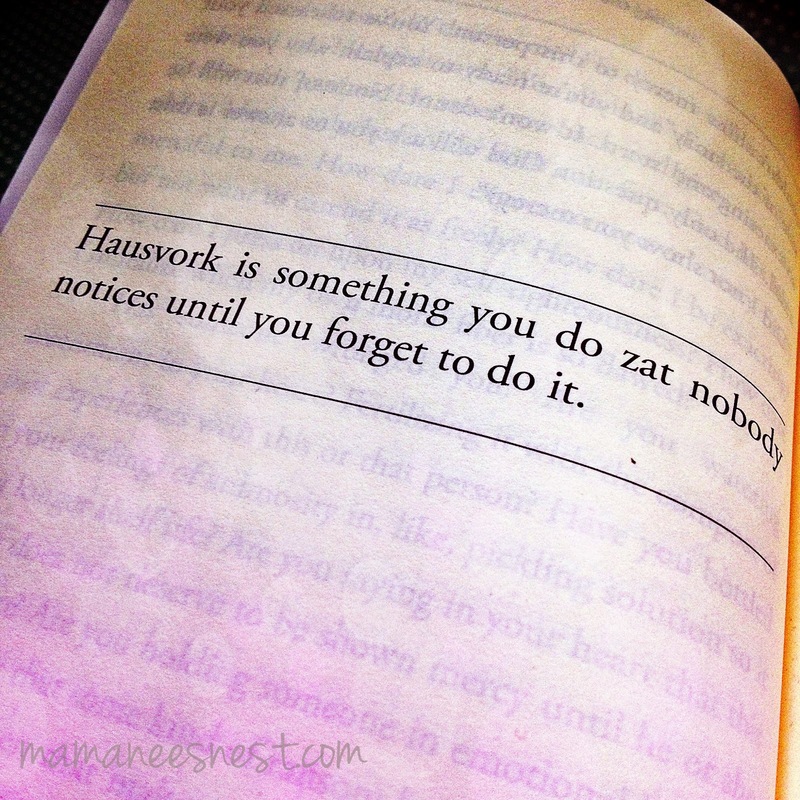 I like reading books especially those that are truly motivational. I think Amusing grace book from what you've describe teaches us to always be thankful for what we have and don't have in life.